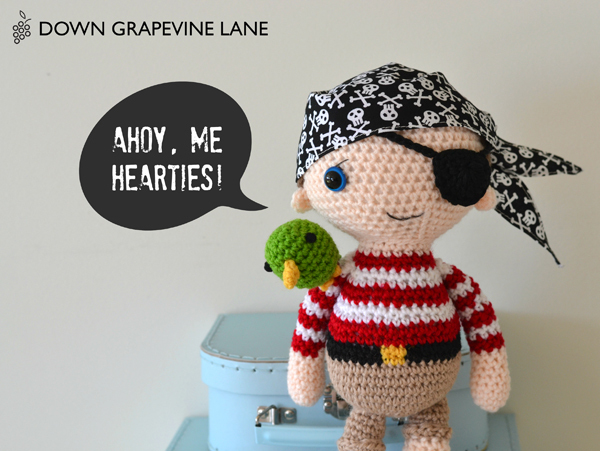 Ahoy, me hearties!!! Arrr, it be 'International Talk Like a Pirate Day' today! Hoist the colours! 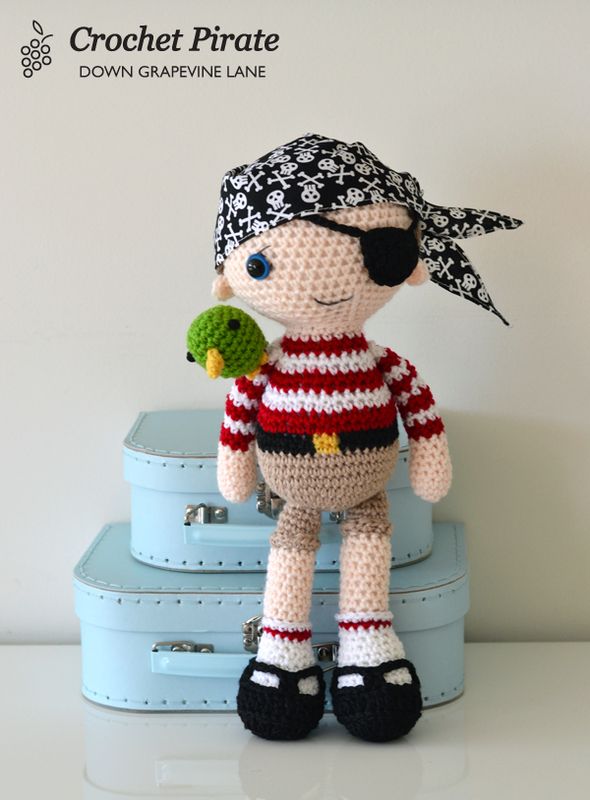 Happily for me, the annual pirate day this year coincided with the release of my long planned, long promised, and way way way overdue crochet pirate! 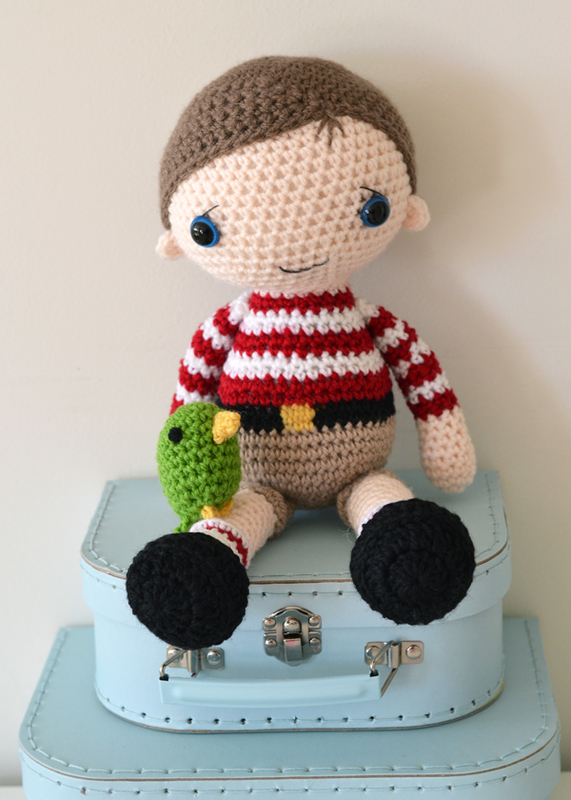 Ever since I started making crochet dolls, I have been inundated with requests for boy dolls. 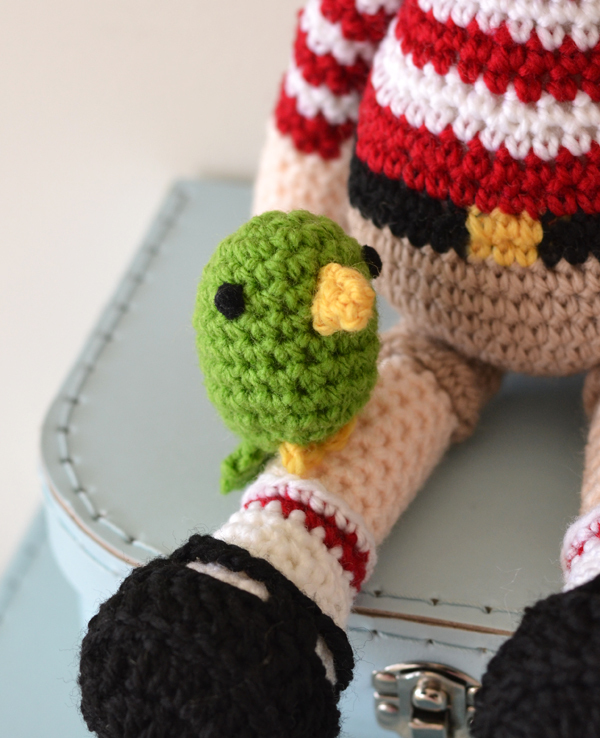 A combination of too many shop orders, too many toddlers to look after, too much procrastination and general laziness on my part has meant it took me over a year to get him finished. 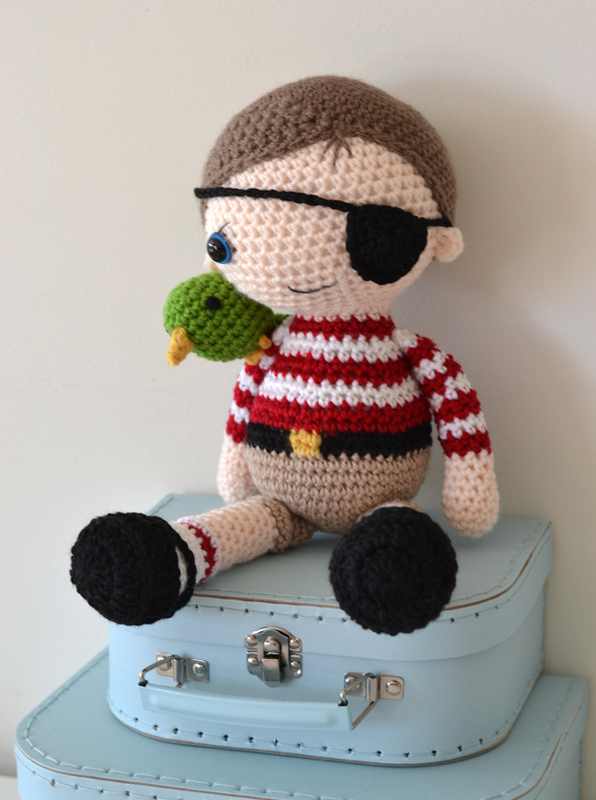 So... finally.... the first doll in my 'boys' collection is this cute pirate mate, with a removable eye patch, bandana, and his little parrot friend. Arrr, matey! 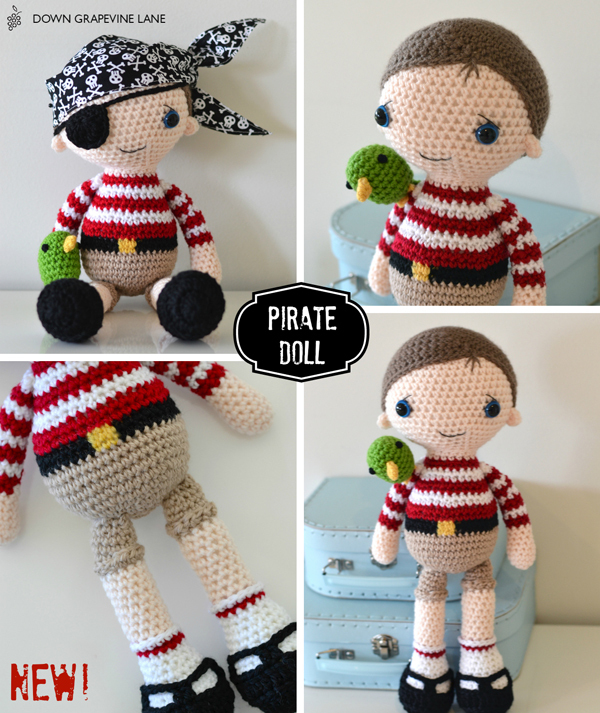 He is based on this boy doll pattern by Lilleliis, which is excellent and easy to follow. I have added the bandana, eye patch, and parrot. I was going to use the same pattern as my girl dolls, but I wanted him to have thicker legs (being a boy) and a more substantial body structure, and I am very pleased with how he turned out. Yo-ho-ho! Weigh anchor! Hoist the mizzen!!! Till next time, me hearties!